Every since I was a young girl I've always felt like I have music In my blood. I remember being 4 years old and dancing around my bedroom, music at full blast and singing S Club 7's. I'm sure you did it too, singing around your bedroom with your hairbrush and I'm sure a lot of you still do. Throughout my child hood I took part in multiple musical escapades, singing in shows, writing lyrics in secret and playing instruments. Not to mention being involved in the performing arts, specifically dance, from the age of 4-18. In retrospect I can't help but wonder if I hadn't grown up in a quiet village in Norfolk that I would have had the same passion and drive to excel with my hobbies. I was born in London in 96 and then moved to Devon when I was 1, to then make another move to Norfolk when I was 3 which Is where we have stayed put. I'm faced with beautiful English scenery everyday and beautiful English weather... Haha. I guess you can say I am the definition of a country girl dreaming of the 'big city'. I've always had a busy lifestyle and I strive off it. But when It came to making the decision about 'university' 'career' 'the rest of your existence' I'm not going to lie to you I panicked like hell. I started my blog In the summer of 2014 and since then I've watched it grow, evolve and become what it is today. But what a lot of you may not know is why my blog, unconventional fashion, travel, beauty, lifestyle and whatever else I can think of, came about. My GCSE grades where good and I received 12 in total. I am two types of learner 1. The creative type who throws herself into a project 2. The mechanical worker who is weirdly OCD about unnecessary things. Anyone who knows me will have a giggle at that because It is soooo true. My point is I never really had a 'thing'. A thing that I was exceptionally good at or enjoyed ridiculous amounts. I'm going to be more honest with you right now then I was with many best friends and boyfriend during that year of a levels. They destroyed me. It was like watching my passions crumble and fade away. Don't get me wrong I am talented in the performing arts and this is from years of hard work in many aspects of the field, but academically the subjects frustrated me and as pathetic as it may sound they didn't feel 'right'. I'm not saying that the school didn't have it's perks. I got to take part in a musical which was something I had never experienced before and It did relight that flame in my belly for performing. But mostly what I became from sixth form was a subdued and enclosed person. I barely went out any more, I dressed more 'appropriate' and less ME, I stopped caring about how I looked which evolved to caring less about how I held myself. Little parts of my personality started to fade and I felt like I was losing site of who I truly am. I've always wanted to be part of the music industry. I guess you could say that sixth form made me lose sight on what mattered. I let academic ability - the ability to recite from text books in my case - affect my confidence with everything. Most importantly, I lost sight of why I was doing the subjects I love. This may sound really melodramatic to a lot of you, but reflecting on how much I've changed in the last few years is extremely relevant to how much my blog has affected me as a person. I remember the day when I sat down and created hannahjanewilliams.blogspot.com(co.uk), I'd toyed with having a name like 'rayofhanshine' as my birthday is the summer solstice but that never truly stuck with me and although I like it, It didn't feel right. I didn't feel like I was a ray of hanshine at that moment in time, so I felt like the best way to market and present myself to you lovely people was by... well... me. I never actually told any of my friends about my blog... they all kind of just found out. Which I guess Is a good thing. See being the shy introvert that I was, I didn't want to blast myself online like HELLO HOW ARE YOU ALL I STARTED A BLOG AND NO ONE IS READING IT YET. Because frankly that would of been crazily embarrassing. So I created separate accounts: Twitter: hanjanewilliams and Instagram: hannahjanewilliams (used to be hannahjaneblog). Over time I felt like I was becoming a more confident and happy person. 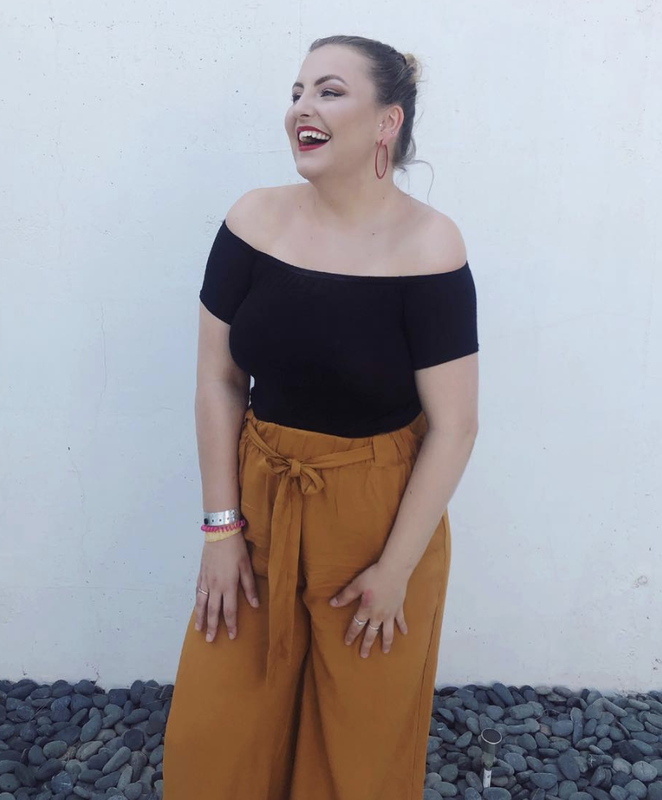 I felt like my anxiety about being judged by my peers was short sited and unnecessary - although a lot of them probably didn't judge due to the perks of blogging (gifts). For me the happiest parts of my blogging experience so far is by watching it grow. I'm proud that I over come my fears and decided that I was going to use my space on the Internet to rejuvenate. The comments I get from people I have never met yet care so much about my happiness, Is the most heart warming and encouraging aspect of my hobby. I know that If I'm having a bad day, there is always someone there for me with guidance, support or just to tell me you can do it. Whatever that may be. Whether that is moving away from my home, making big decisions, meeting new people, getting pushed out of my comfort zone or just accepting that my imperfections are a GOOD thing. 1. Finding a university course that I was actually interested in and could consider doing. 2. Getting invited to Ax Paris & My Bandage Dress blogger events. I felt a bit... confused? To say the least. That a little blogger from Norfolk was being asked to visit Manchester and Birmingham, cities I've never visited before, with people I have never met. Scary. But I was wrong as travelling alone via train that far was an experience and a half, whilst meeting tonnes of other bloggers inspired me and made me happy. 3. I started a business course at college that opened my mind to new opportunities. I met a bunch of new people who injected love and happiness in to my life. They, without realising, helped me to become a more confident and happy individual and I am eternally grateful to them for that. Before christmas I then started up my YouTube channel... which Is still crazy to me. I visited Barcelona, New York and managed to get my Grade 7 Singing at merit. Yikes right. Vlogging to me is a more interactive form of blogging. I like to be able to sit in front of a camera and just talk about what I like. Through vlogging I'm now in contact with so many blogger's who are endlessly supportive of me and are like friends I've never met. I hope that this year of blogging that's a head of me, will bring me closer to the friends I have made through blogging and YouTube and hopefully, introduce me to more. There's also the recent development of my Google Partnership. God life is weird. 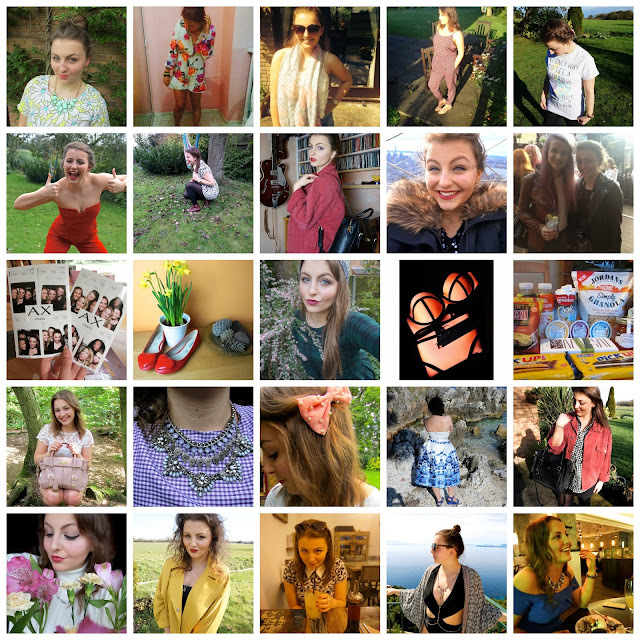 A year of blogging. Blogging is a passion and a hobby for me and I never want it to leave my life now it's here. So what can you expect of the year to come? I want to inject more music into what I do online. Music is a huge part of who I am and It's something you all don't see. I want to travel, scrap that explore. It doesn't have to be abroad, but I want to discover new places, with new people I meet and old. I want to become an adventurer and discover the little things in life. But most of all, what do I want from another year of blogging? Happiness. I never want to have a reason to be unhappy in the year of blogging to come. This website is the diary of everything I'm doing and loving, I want to continue that and prove that anything is possible if you set your mind to it. Thank you for reading, thank you for supporting me and most of all... Thank you. As a blogger, there are tonnes of events that happen every year for different brands. I feel privileged and happy that I get to attend these and share them with you, as lets be honest they're interesting and everyone likes a good nosey into the life of a blogger! I'm from Norwich and I was recently invited to the Jarrolds Norwich 70's inspired blogger event. If you don't know Jarrolds Is an independent department store in Norfolk. They have a huge variety of fashion, beauty and lifestyle brands within their store in Norwich as well as lovely Cafes to break up your shopping trip. What could be better right? I'll be honest with you, I know I may come across as a confident person but oh boy I was nervous. All blogger events I've been to before this one, I've talked to bloggers who are attending/had someone with me. I tried to shrug that off with my stunning Boohoo yellow duster jacket and red lippy combo and gave a 'I can act confident attitude'; hope it worked. I love this photo, the intricate lamps and amazing WOW lights definitely make for a beautiful setting! Jarrold's held their 70's inspired evening in the Granary Norwich. The building is owned by Jarrolds, but the company is separate to them. It made for comfortable seating, a great back drop and tonnes of interesting furniture/home ware pieces! I'm moving to London to go to University in September, so looking round this store gave me tonnes of ideas for my student room. It's kind of sad that I'm getting excited about buying lamps, cushions and bedding... but oh well! Having a store like this so local to me is really handy as it has so many individual and interesting pieces! I now really want to get a H in the style of the lights above but I don't want to pay an arm and a leg, so I'm going to have a look on Not On The High Street as a blogger friend I met at the event Georgia Aldolpho suggested it to me, so thank you if you're reading this Georgi! After being introduced to the team we all gathered on the second floor of the building to watch the fashion show and be introduced to the thought through and detailed looks that had been put together by the team. Short but sweet it was a lovely way to relax, take pictures and see the 70's inspired style which we the team were going to go on and discuss in more depth! This look was such an amazing 70's inspired hippy look and probably my favourite of the evening. Everything about this outfit was so much fun, it felt like I was being transported back in time. The ted baker bright green bag definitely gave the outfit the pop of colour it needed and tied in with the rest of the outfit. The top is actually a beach throw, but who says you can't multi-use items like this in your wardrobe? I love the way that this models hair naturally curled into one, It was truly given that hippy look by the flower crown. Not to mention she is extremely photogenic! Dammit! I loved the fact that these nails were simple but beautiful. They really matched in with the outfit and accessories and gave for a really wearable nail design! I actually know this model, so hello Claudia if you're reading! One aspect of the event I really enjoyed was the fact that they had mood boards and all the make up items on the girls faces. It was fun to learn about new products and why they used them for each look, although It did seriously make me want to go on a make up splurge! The lovely Michelle, who I'm going to set up a consultation with, was so friendly and had such extensive knowledge about the products she was talking about! I always feel quite overwhelmed going into department stores but I just know that she will 100% make me feel comfortable. I would definitely recommend booking in for a consultation at Jarrold's as they're so helpful and friendly! Lastly, lets talk about the best blogger box I've ever received! The Jarrold's staff really out did themselves with this one and I was just so excited to try all the products. Ted Baker Tote Bag - Perfect for a gym bag! OPI minis - The best nail varnish ever. Dior Mascara 'Dior Show' Mini - Perfect travel mascara! Ren Cleansing Milk - Great to shove in your bag. All the items that you have seen in this post are available in Jarrold's. I would really recommend if you are from Norwich or visiting that you check out Jarrold's. It's really a statement in Norwich retail and the people who I met from Jarrold's were charming, friendly and knowledgeable. I'd like to say a big thank you to my friend Emily Weal who recommended me to the team, because without you I wouldn't have got to go to this wonderful event! I hope you all enjoyed this post, comment below what your favourite look was and favourite product!